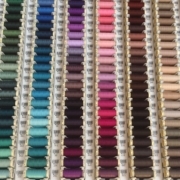 We are pleased to announce we now have a full range of Gutermaan sewing threads for sale. We will be travelling to the Far East early May to select the latest collection of silks. It is always the most exciting time of the year and we are expecting delivery mid June. We are now importing a single weight wool crepe and are expecting delivery late April. We will be continuing to import the ever-popular double weight wool crepe, both manufactured by the same Italian Company. 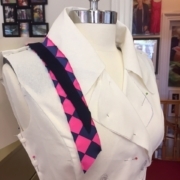 We have recently introduced a design service (in conjunction to either bridal making or dress making) which is available on Thursdays and Saturdays. It is by appointment. There is no charge for this service.